We know our members love browsing the web when they visit the library, so we wanted to make getting online as seamless as opening a book. In 2014, we worked with our partner Ancoris to replace many of our outdated Windows PCs with Google Chromebooks. We also purchased a number of touchscreen Google Chromebases, which allow children to interact with websites without using a keyboard or mouse. Ancoris developed a Chromebook Access Management System (CAMS) that integrates the Chromebooks with our existing library management system. This controls who can log on and how long they can stay online. Today we have more than 200 Chrome devices available for visitors to check out across our 44 branches. 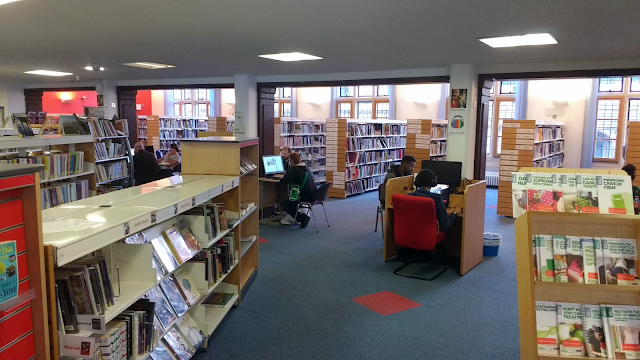 Now visitors are able to go online anywhere in the library. From young children playing literacy games to students diving into heavy research, customers of all ages can engage with material — whether at a shared table or in a quiet nook — on their Chromebook until the device is due back. Chromebooks and Chromebases have been so cost-effective — both initially and once deployed — that we’ve been able to increase the number of computers available to library users while upgrading our technology overall. From an IT perspective, Chrome devices are ideal. They’re secure, easy to use and require very little of our team’s time to manage. With Chrome Device Management, we don’t have to worry about data on lost or stolen devices because we’re able to centrally shut down devices that we’ve identified as lost or stolen. Despite staff concerns about theft, we haven’t had a single Chromebook stolen. And with automatic system updates, the Chromebooks stay fast, up-to-date and ready to use at a moment’s notice. Our technology is a huge draw for library members. They look to us as a portal for information as well as a resource for pursuing their interests and professional goals. Chrome devices are the perfect library companion for our visitors and a simple solution for our IT team.